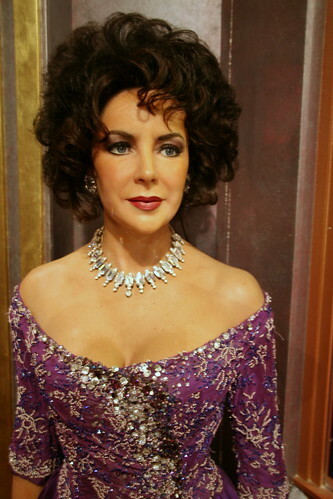 Elizabeth Taylor was a British and American actress and humanitarian. She twice won the Academy Award for Best Actress, for BUtterfield 8 (1960) and Who’s Afraid of Virginia Woolf? (1966). She was born in Hampstead Garden Suburb, London, England, to American parents, Sara Sothern (born Sara Viola Warmbrodt), also an actress, and Francis Lenn Taylor, an art dealer. Elizabeth had four children, two with her former husband, English actor Michael Wilding, one with her late husband, producer Mike Todd, and one with her former husband, Welsh actor Richard Burton, to whom she was married twice. Much of Elizabeth’s ancestry was English, with colonial American roots dating back to the 1600s. One of her maternal great-grandfathers was a Swiss-German immigrant, and she also had Scots-Irish/Northern Irish and French roots, with fairly distant Dutch, Welsh, and Danish, ancestry. 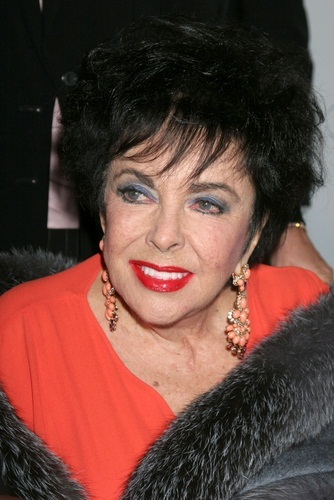 Elizabeth Taylor converted to Judaism in 1959, taking the Hebrew name Elisheba Rachel, and identified herself as a Jew for the rest of her life. She was buried with a Jewish service. Elizabeth’s paternal grandfather was Francis Marion “Frank” Taylor (the son of Peter/Pete Prevatt Taylor and Margaret Jane Perigo). Francis was born in Indiana. Peter was the son of Lewis/Louis Taylor and Rachel Thompson Baker. Margaret was the daughter of Jonathan Perigo and Isabella McGill. The Perigo line is said to originate with a French immigrant of the late 1700s, Romey Perigo. Elizabeth’s paternal grandmother was Elizabeth Mary Rosemond (the daughter of Moses Morton Rosemond and Martha Jane/E. Likes/Lokes). Elizabeth’s grandmother Elizabeth was born in Ohio. Moses was the son of Philip/Phillip Rosemond, who was born in Ireland, and of Mary Morton. Elizabeth’s maternal grandfather was Samuel Sylvester Warmbrodt (the son of Samuel Warmbrodt and Mollissa/Melissa Ann Flora). Elizabeth’s grandfather Samuel was born in Illinois. Elizabeth’s great-grandfather Samuel was born in Siselen, Bern, Switzerland, and was of Swiss-German descent, the son of Johannes/John or Hans Jacob Warmbrodt and Elisabeth/Elsbeth Graden. Elizabeth’s maternal grandmother was Anna/Ann Elizabeth Wilson (the daughter of John A. Wilson and Sarah Glen/Glenn). Anna was born in Ohio. Sarah was the daughter of Joseph Glen and Ann Moore. Elizabeth’s matrilineal line can evidently be traced to Jane Thompson, who was born, c. 1695, in Ireland or Northern Ireland. Changing one’s religion does not change one’s ethnicity. This is the whole thing wrong with this site. Judaism IS NOT A RACE or an ethnicity. It’s a religion. Period. Please REMOVE THAT ENTRY listed under her ethnicity.